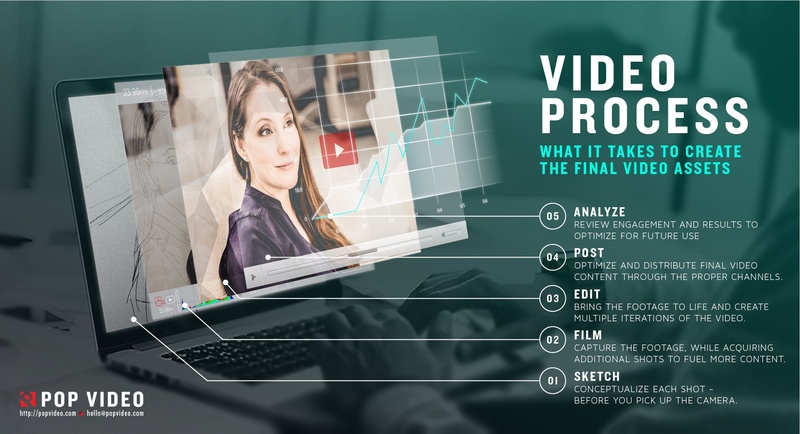 Do you know the steps in a video process? So much goes into creating final video assets! From the initial sketch, to reviewing the final video metrics - it's not as easy as point, shoot, edit, and deliver. Check out the infographic, which displays the steps we take to create the final video!